The UCLA/Johnson & Johnson Head Start Management Fellows Program provides a unique opportunity for Head Start administrators to participate in a two-week intensive management training session, held annually at UCLA Anderson School of Management. This program is generously supported by Johnson & Johnson. Participants are selected through an application process to represent a cross section of all Head Start managers and programs. There are specific criteria for admission to the program which are noted with the application. The program builds both executive and entrepreneurial management skills. Eighty hours of classroom instruction include lectures, group discussions, case studies, and workshops. Designed from a strategic planning perspective, subject materials from human resource management, organization design and development, finance, computers and information systems, and operations and marketing, the curriculum focuses on applying concepts to relevant Head Start needs and interests. The curriculum represents a course of study developed by UCLA faculty, the Program Advisory Board, and field research and focus groups. Faculty members for the program are drawn largely from UCLA Anderson. Specific faculty from other UCLA schools, other universities, and practicing members of the Head Start community are selected based on the needs of each year’s participants. Graduates of the Fellows Program are awarded a certificate from UCLA and are given the option of receiving academic graduate-level credits or continuing education credits. Providing them with modern management theories and principles. Increasing their ability to plan, lead and control the effective delivery of Head Start services in an increasingly changing and challenging environment. Fostering an entrepreneurial competence and promoting a bias for action. Enhancing their capacity to find alternate funding sources and collaborate with other social service programs in their communities. Developing strategies that they can quickly implement in their programs and share with other Head Start managers. Establishing a network of Head Start Fellows who will assist in the management education of other Head Start directors nationwide. In September 2000, an inter-agency agreement was established between Fairfax County Public Schools Department of Special Education and Fairfax County Department of Family Services, and the Office for Children Head Start. The purpose of this inter-agency agreement is to establish a continuum of services for young children with disabilities and their families in accordance with the Individuals with Disabilities Education Act (IDEA) and the Head Start Program Performance Standards regarding services for children with disabilities (45 CFR 1308). Higher Horizons began implementing an inclusion model “Great Ideas” pilot in September of 2000. The “Great Ideas” project is an inclusion model implemented at Higher Horizons. This model was a collaborative effort with the Fairfax County Public Schools Department of Student Services/Special Education and the Fairfax County Department of Family Services Office for Children. Supporting families throughout the entire process. 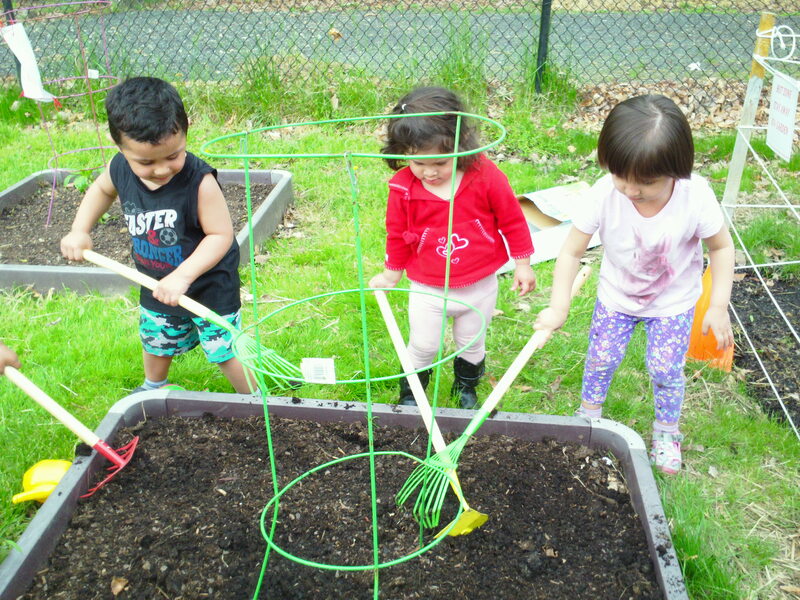 At Higher Horizons, the children gain firsthand experience in planting and maintaining a garden by participating in Higher Horizons’ Garden Project. Higher Horizons has a garden space to teach the children about the benefits of gardening. When the produce is ready, the fruits and vegetables are used for nutrition education activities. The Garden Project plays an essential role in creating a healthy nutrition environment that teaches children about the importance of healthy eating habits. Children that participate in the Garden Project learn about fresh foods, make healthier eating choices, and are physically active. 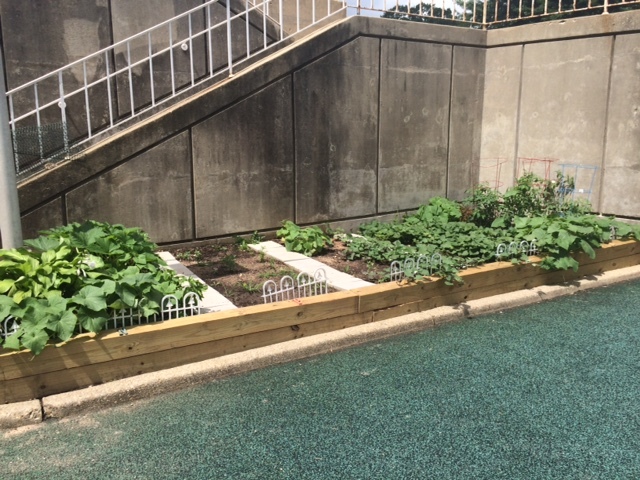 Research demonstrates that children who plant gardens are more likely to eat the fruits and vegetables that they grow (Source: A Healthy Nutrition Environment: Linking Education, Activity, and Food through School Gardens). This program, based in Vienna, VA, was established in 1981 under a grant from the Head Start Bureau of the U.S. Department of Health and Human Services. The main goal of the Wolf Trap Institute for Early Learning through the Arts is to train childhood professionals in the use of performing arts techniques that help young children learn basic literacy, academic concepts, and life skills. The Institute believes in teaching children through arts-based experiences. Higher Horizons has participated in the program by attending educational field trips at Wolf Trap. The Wolf Trap Institute for Early Learning Through the Arts is an internationally respected program that provides innovative arts-based teaching strategies and services to early childhood teachers, caregivers, parents, and their children from 0 to 5 through the disciplines of drama, music, and movement. Each year, the Wolf Trap Institute’s local, regional, national, and international programs provide educational services for 35,000 young children, their parents, educators, and teaching artists. As Wolf Trap Institute activities are woven into the curriculum, the arts become a new way of teaching, learning, and knowing. The Institute employs Teaching Artists—professional actors, dancers, storytellers, and musicians—to provide services to the early childhood community.